I went on a massive search last fall for modern, patterned yellow throw pillows, and boy do I wish I had known about Fabricadabra. I first came across the Northborough, MA, company at a warehouse sale in South Boston where some beautiful ikat prints were calling to me. While the ikats remain some of my favorites, it turns out they are only a tiny fraction of what Fabricadabra has to offer. Owner Donna Halloran has worked in textiles her entire adult life, and she sources batiks, kilims, suzanis, Dutch wax prints, African mud cloth and, yes, ikats from around the globe. But the best part is that Halloran has chosen to work with international artisans who favor ancient techniques for weaving and dying fabric. All materials are natural and non-toxic, and there are plenty of organic options, as well. "All decorative covers use natural dyes and are woven on handlooms. All embroidery is hand embroidered. All artisans are paid fair wages," Halloran emphasizes on her Web site. Yet, amazingly, prices are fairly low for quality textiles. 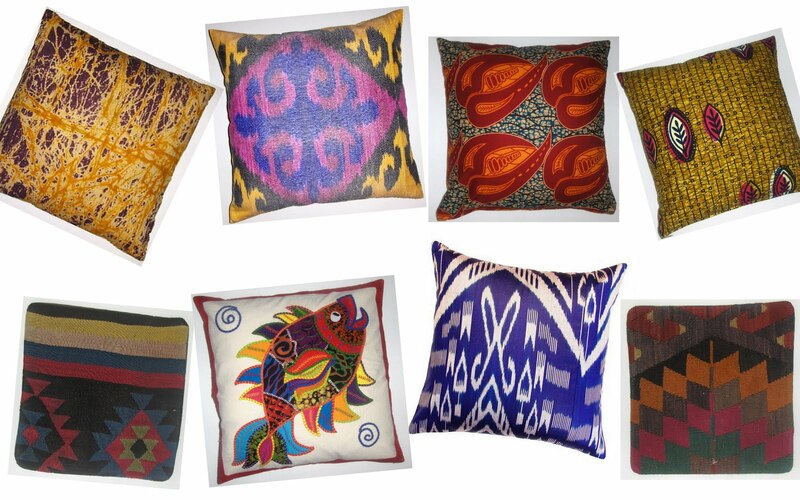 Pillow covers range from $30 to $50, and Ikat fabric goes for $20 per yard. (If only I could sew...) Plus, a little sticker that I grabbed at the warehouse sale offers 20% off with the code "FAB20." 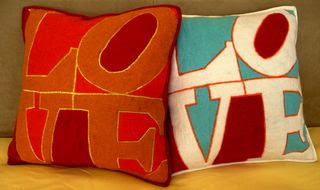 All in all, I was never completely happy with the throw pillows I ended up with last fall, and I'm thinking I may have to swap out the covers with some Fabricadabra beauties. 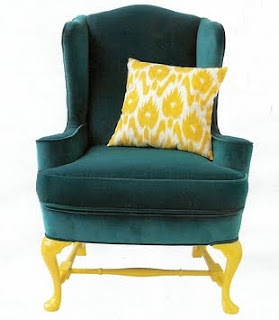 That yellow ikat would go so well with my teal rug!